Our restaurant, “Da Benito E Gilberto Al Falco” was founded in 1976 by grandfather, Benito, and his son, Gilberto. It was inspired by the love of good cuisine and the pleasure of enjoying it in good company. 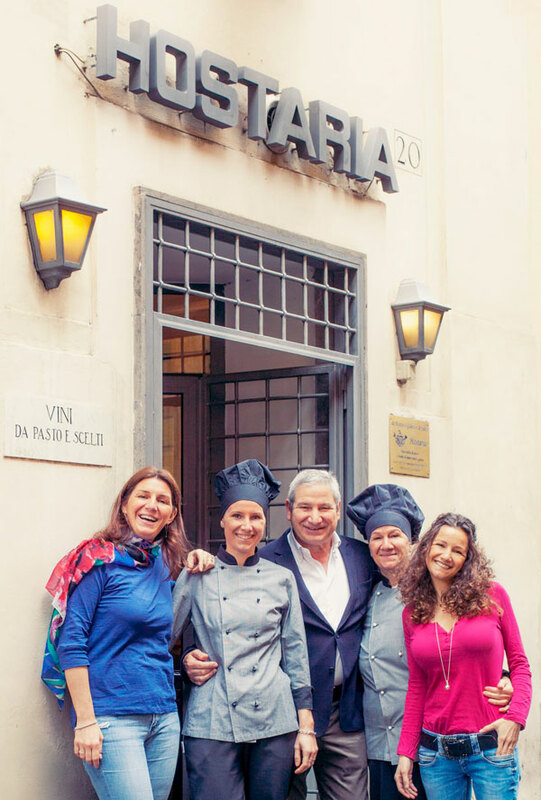 Throughout the years, Gilberto, his wife Angela, and their daughters, Valentina, Federica and Nicole, have been successfully committed to the “hosteria” tradition of serving great wine and simple, homemade food in a cozy and casual atmosphere. This family run restaurant continues to grow and innovate without losing its connection to the past, and its dedication to using fresh, seasonal ingredients. The restaurant is located in Rome’s 1th district, in the neighbourhood known as “Borgo”, in Via del Falco, thus its name. The cobblestone streets in this picturesque, historic enclave are adjacent to Vatican City and the restaurant is only a few steps away from the Vatican. The menu features fresh seafood and home made desserts. Our simple dishes enhance the taste of finely selected ingredients. A highlight of our menu is a fresh selection of French and Irish oysters of “Fine,” “Special” and “Super Special” varieties, each with its own unique taste. Copyright 2016 Benito e Gilberto. All Right Revered.